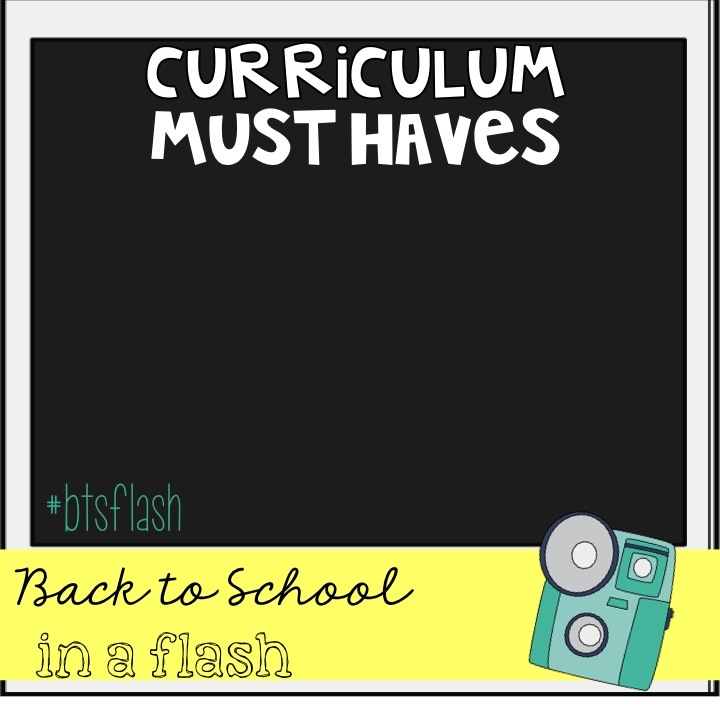 It's week 2 of the Back to School in a Flash linky! 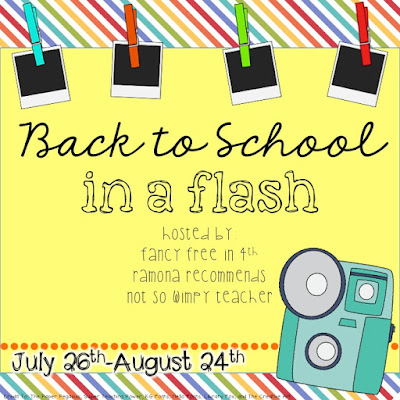 This linky is hosted by Fancy Free in 4th, Ramona Recommends, and Not So Wimpy Teacher! 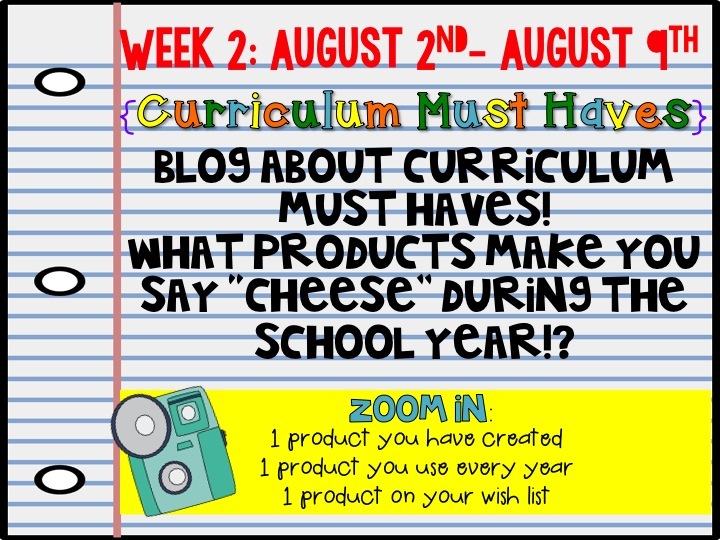 My first share is one I can't wait for my students to engage in when school starts in a few days! 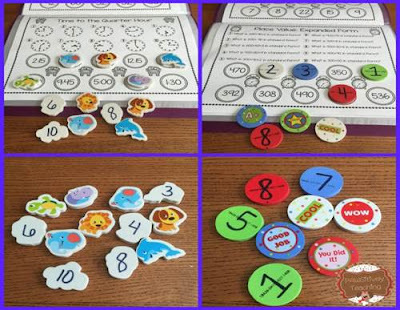 This pack from PAWSitively Teaching is filled with two and three digit addition and subtraction practice, place value, time, and money practice using bottle caps or any other item to cover the correct answer. There are many different activities for practice included. 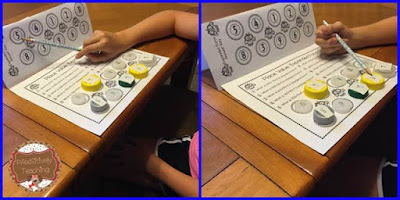 I love the idea of using seasonal or other fun items to cover the answers. 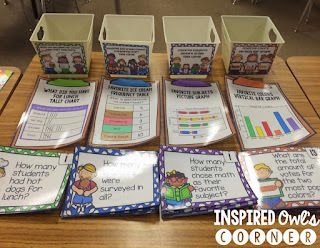 I know my students are going to love this pack during math groups! Click on any of the pictures to see this pack! 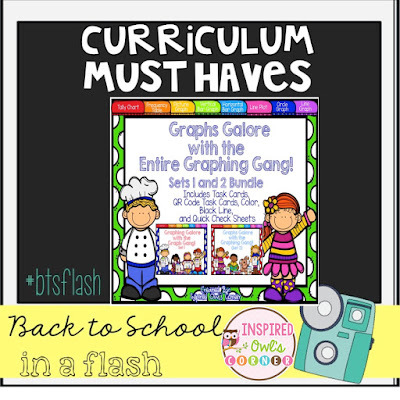 My second share is my Graphs Galore with the Entire Graphing Gang pack. 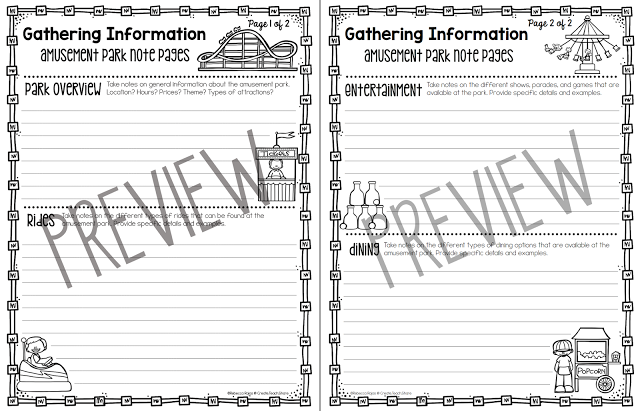 It is packed with eight different graphing task card sets and worksheets for assessment or extra practice. Also included are QR coded cards. My students loved using their devices to check their answers. The entire pack comes in color and black and white. 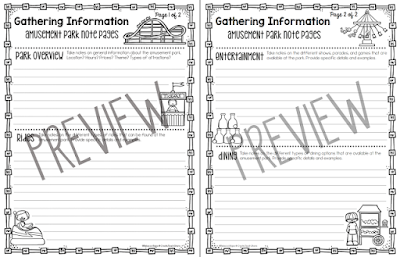 These task cards were one of my students' favorites last year! They are perfect for extra practice and enrichment. I set them out and students grab what they need and go to their work area! Click here or the pictures below to see this set! 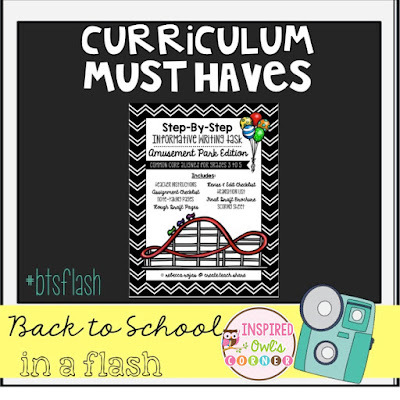 My last share is on my TpT Wishlist. 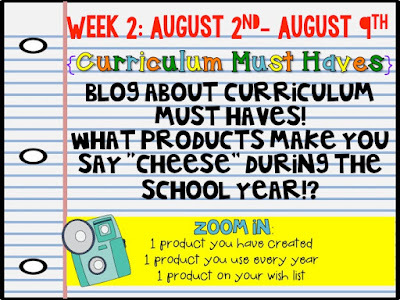 It's by Create Teach Share, and it's her new Informative Writing Tasks that take students through the entire writing process. I don't have very much curriculum for teaching this genre of writing, and I just love how this takes students though the entire process. She hd a few other packs in this series too! You can click here to learn more about them! Now it's your turn! What are your curriculum must haves? 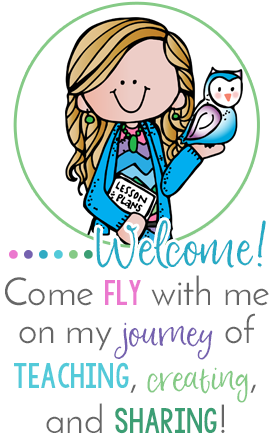 Grab the graphics below and add your must haves to the graphic and link up with us! 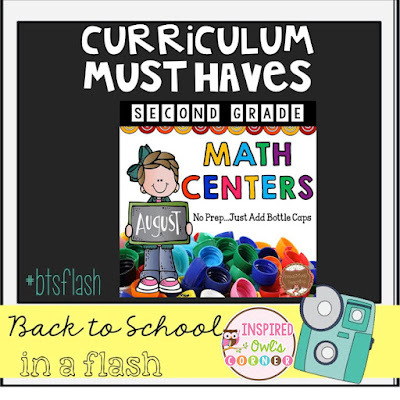 The iTeach Third Bloggers are having a giveaway for $10 to each of our stores! Be sure to enter below to win items from our stores. Good luck! All three of your products look great and engaging! I can't wait to learn more about the informative writing. My kids really struggled with writing last year so I am always looking for new ways to spice it up! Thanks for linking up! Thanks for sharing the Informational Writing Tasks, I am teaching a research class this year and this will be perfect to add in to it! 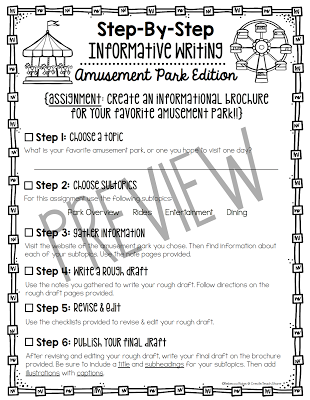 The kids will love researching a park & writing about it, heck I'd love it! I love the graphing galore packet! I'm sure the kids find that very engaging since it appears very hands on! I think I need to add that to MY wish list!